One of the most loved Indian talk-shows Koffee With Karan kick-started with its sixth season last year in October. The last episode hosted two cricket personalities KL Rahul and Hardik Pandya and in the coming episode, we will get to see brothers Shahid Kapoor and Ishaan Khatter. 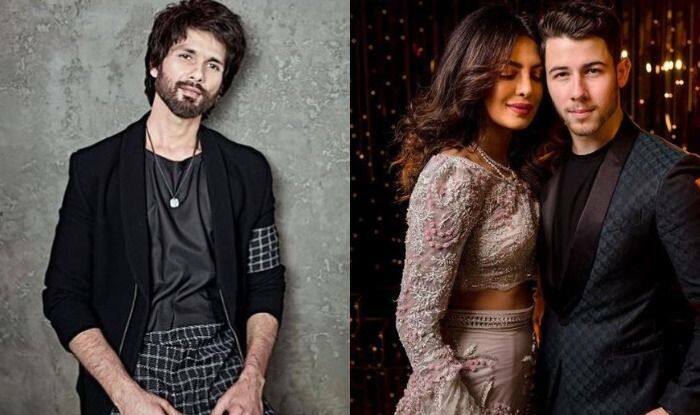 While the two will be seen making the audience laugh their guts out, Shahid’s advice to Priyanka Chopra‘s husband Nick Jonas will make you want to smirk. In one of the promos, host Karan Johar asked Shahid “what advice would you give Nick Jonas?.” Shahid had a witty answer to it and said, “Never back down buddy, you’re with the original Desi Girl.” Post that, he looked at the camera and winked. The first season of Koffee With Karan season 6 hosted Deepika Padukone and Alia Bhatt. On the show, the duo shared many untold stories about their mischievousness. In the same interview, the two had revealed how they attended Cold Play’s concert together and how they wanted to go to the loo and did something really fishy there. They unveiled that instead of using the women’s washroom, they went to the men’s one since the ladies toilet had a long queue. Earlier, Shahid was rumoured to be dating his Kaminey co-star Priyanka. There were also rumours that Shahid had opened Priyanka’s door when IT raid took place at PeeCee’s residence early in the morning. On the professional front, Shahid is busy with the work of his upcoming film, Kabir Singh. Earlier, talking about his character in Kabir Singh, Shahid told PTI, “I loved the emotional arc of the character, played by Vijay down south, and he did a fantastic job on it. The director was so real, raw and honest in his representation of that journey that I was drawn towards it”. The film is a remake of Telugu hit Arjun Reddy. Priyanka, on the other hand, is in the midst of shooting for Shonali Bose’s The Sky is Pink, which is based on motivational speaker Aisha Chaudhary.